I went to have a look at the new Bomber Command Memorial this last weekend. It is right by Hyde Park Corner and the Royal Artillery Memorial. It was built to mark the sacrifice of 55,573 aircrew from Britain and the Commonwealth who lost their lives during the Second World War. There are some wonderful photographs of the memorial here, and you can download a great app with personalised histories, stories, and details, here. 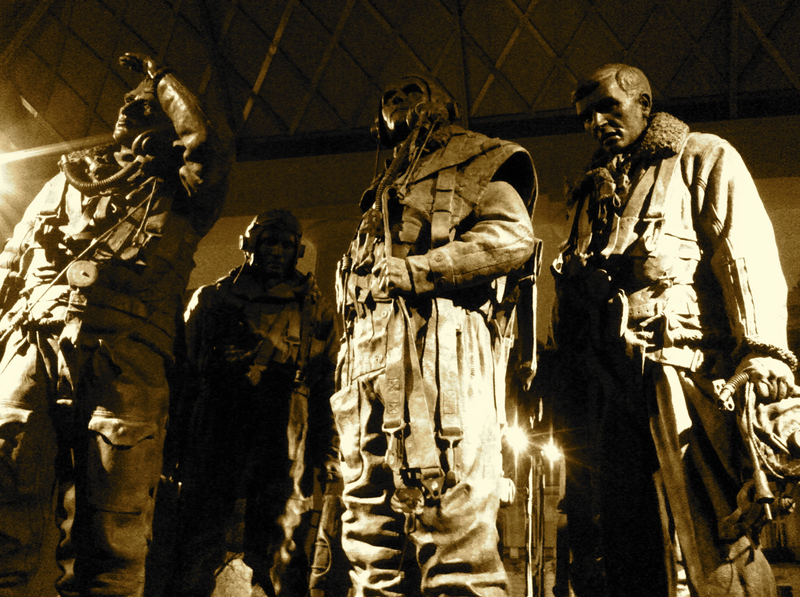 The whole thing is hugely impressive and has been done really well… there is something very real and lifelike about the flight crew that stare wistfully into the middle distance, captured in bronze as they return from a bombing mission. It is a little known fact that British bomber crews through the second world war suffered a more than 50% casualty rate of young men killed and seriously wounded. The memorial is perhaps imposing and grand because of the nature of their deaths… few bodies came home… Quite how and why these brave airmen were not afforded a national memorial before was a subject of much disgrace and heated debate. The memorial has a strong association with the Canadians that enlisted in the RAF and Royal Canadian Air Force during the war, indeed aluminium from a RCAF Handley Page Halifax that had crashed in Belgium in May 1944 was used to build the roof of the memorial. The heavy bomber was found in a swamp in in about 1997 … tragically with three of the crew found still at their posts. At the time the airmen were buried with full military honours and the remains of the aircraft sent to Canada… it is poignant therefore that the metal has been recycled in such a fitting memorial. Great quote from Pericles – and sadly a timeless warning to mankind.